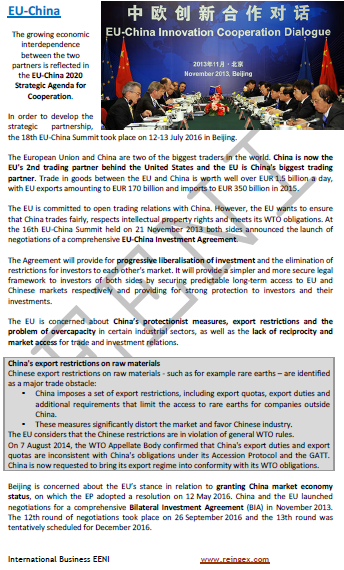 Syllabus of the Online Course (Subject): Cooperation Agreement between the European Union and China, Hong Kong and Macau. The relationships of the European Union with China, established in 1975, are governed by the European Union-China Trade and Cooperation Agreement and seven other agreements. The People's Republic of China is the fastest growing export market of the European Union (EU). The European Union was the second-largest trading partner of Hong Kong, the third largest international market, and the third largest supplier. Hong Kong was the 17th largest trading partner of the European Union (EU). Bilateral trade registered an average annual growth rate of 6% annually between 2004 and 2009.